Songwriters are egregiously underpaid because laws governing the music industry have not kept pace with technology. The Music Modernization Act of 2017 will change that. This bill is the most significant update to music copyright law in over a generation and represents an unprecedented agreement between the music and technology industries. We, as the songwriters most affected by 100-year-old policies that reduce our royalties, encourage Congress to pass this legislation as soon as possible. 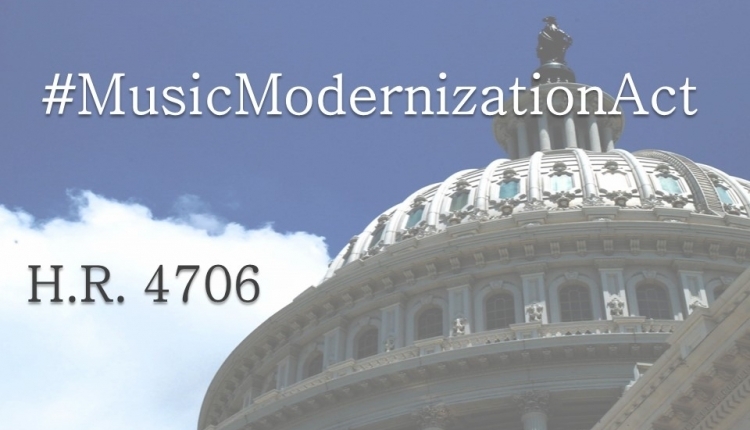 The Music Modernization Act is a bipartisan effort that will greatly improve the way mechanical and performance royalties are calculated. Today, digital services like Spotify, Apple, Pandora, Amazon and Google often do not know who to pay and money is lost to lack of information and inefficiency. The Music Modernization Act will create an entity, funded by the digital music companies, that will properly pay mechanical royalties for interactive streaming. It also gives songwriters a better shot at getting higher royalty rates in the Copyright Royalty Board proceedings. Additionally, it reforms the system that determines performance royalty rates for ASCAP and BMI by allowing rate courts to review market evidence into the valuation of how songwriters are compensated as well as giving them improvements to the rate court process. When passed, this bill will be the biggest achievement that music creators have seen in the Digital Age. Unfortunately, there are many hurdles to face before this bill becomes law, which is why we songwriters are coming together to make our voices – which are so often behind the music – heard. This bill is supported by the National Music Publishers’ Association (NMPA), the Nashville Songwriters Association International (NSAI), the Songwriters of North America (SONA), the American Society of Composers, Authors and Publishers (ASCAP), Broadcast Music Inc. (BMI), the Church Music Publishers’ Association (CMPA), the Production Music Association (PMA), MusicAnswers, the Music Publishers Association (MPA), the Council of Music Creators (CMC), the Society of Composers and Lyricists (SCL) and the Association of Independent Music Publishers (AIMP). The bill is also supported by the Digital Media Association (DiMA) which represents Amazon, Apple, Pandora, Spotify and YouTube. The next time you hear your favorite song, think of the struggling small business owner who wrote it, and remember that you can do something to help by supporting the Music Modernization Act. On December21, 2017, Congressman Doug Collins and Congressman Hakeem Jeffries introduced the Music Modernization Act of 2017 – legislation designed to reform the way songwriters are paid in the digital age. Music creators must show their support for updating the archaic laws that lower what they earn by signing this petition and urging Congress to pass the MMA. The Songwriter Petition to Congress: Pass the Music Modernization Act petition to Members Of The United States Congress was written by S.O.S. (Save Our Songwriters) and is in the category Music at GoPetition.